Biography: Attorney William M. Berman is the founding and managing partner of Berman & Riedel, LLP, a civil litigation firm that focuses it’s practice in the areas of catastrophic personal injury, wrongful death and elder abuse and neglect. Strictly a plaintiffs’ devoted firm, Mr. Berman dedicates his practice exclusively to helping victims who have suffered injuries due to the negligent acts of others and/or business entities. Berman & Riedel, LLP handles cases involving serious personal injury, traumatic brain injury, broken bones, back and neck injuries, limb loss, permanent paralysis, burn injuries, vision loss/impairment, vehicle accidents, and elder abuse & neglect. Proven by the numerous awards he has received, Mr. Berman is a knowledgeable and reputable civil litigation attorney with tremendous experience in handling a wide variety of matters. A few years into practice, Mr. Berman was awarded by the San Diego County Bar Association as a Lawyer to Watch in 2000 and an Outstanding Advocate from the Consumer Attorneys in San Diego. 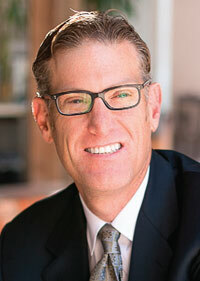 Since 2009 to the present, Mr. Berman has been recognized as a Top Lawyer in California and a San Diego Super Lawyer. In 2012 and 2014, Mr. Berman was awarded the San Diego Trial Lawyer Award, honoring attorneys who have exceptional verdict results which are recognized by their peers. As of October 2015, Mr. Berman has been selected for the Best Attorneys of America award which is presented to only 100 attorneys in each State. Never representing insurance companies in the defense of claims, Mr. Berman’s firm remains staunchly committed to helping those who have suffered serious injury or loss due the negligence, intentional misconduct or wrongful acts of others. The firm’s commitment to working to obtain the maximum possible recovery available under California law for their clients can be seen through the consistent landmark results obtained by the firm. Recently acquiring a settlement of $8.0 million for a victim of a traumatic brain injury, Mr. Berman’s firm has been nominated for the prestigious 2015 Litigator Awards, an award honoring the top 1% of attorneys in the Nation. This esteemed award is presented to approximately 12 firms per state and stands to recognize the elite of the profession. 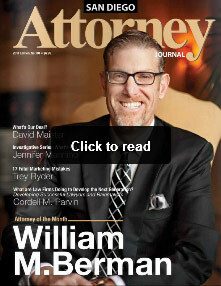 As a testament to his accomplishments in the area of elder abuse & neglect, Mr. Berman was responsible for obtaining one of the largest settlements ever reported against a residential care facility for the elderly in the State of California, a $2.2 million result, in just his second year of practice as an attorney. Since then, Mr. Berman has grown his firm to become what is now considered to be one of the largest and most successful elder abuse/neglect practices within the State of California. Through his continued successes in handling numerous claims involving nursing home and elder abuse and neglect, Mr. Berman remains a prominent figure in advocating on behalf of this vulnerable class of citizens, bringing the cause of elder abuse and neglect to the forefront of the media and state legislature attention.